Two guards delivering cash to a bank were injured when they were targeted in a robbery. A man wearing a facial covering approached one of the guards at Santander on Bridge Street, St Helens, at 7.50pm yesterday. After a brief struggle, the guard was assaulted and suffered a minor facial injury, and the cash box was taken. The second guard received a minor thigh injury in a further struggle, before the robber left the bank. He was joined outside by two or three suspected accomplices, who were also wearing facial coverings. Shortly afterwards, two cars believed to be linked to the robbery were found alight. 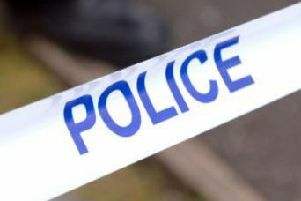 A Mercedes Coupe was found on Bridge Street, close to the bank, while an Audi A6 was found near an industrial site at The Shires. The fire service put out the blazes and both vehicles were recovered for forensic enquiries. Merseyside Police are now investigating and are appealing for witnesses to come forward. CCTV, forensic and witness enquiries are now under way at the three locations. Anyone with information is asked to call St Helens CID on 0151 777 6881, police on 101, or Crimestoppers, anonymously, on 0800 555 111.